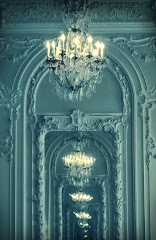 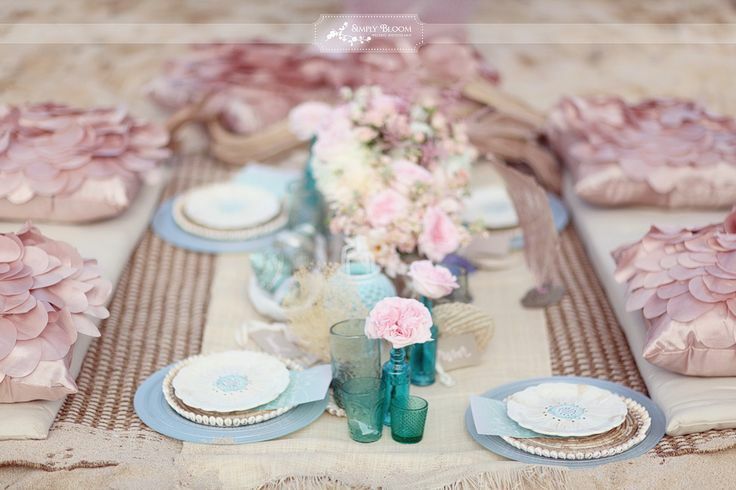 Pink and aqua is probably my very favourite colour scheme--girly girl that I am! 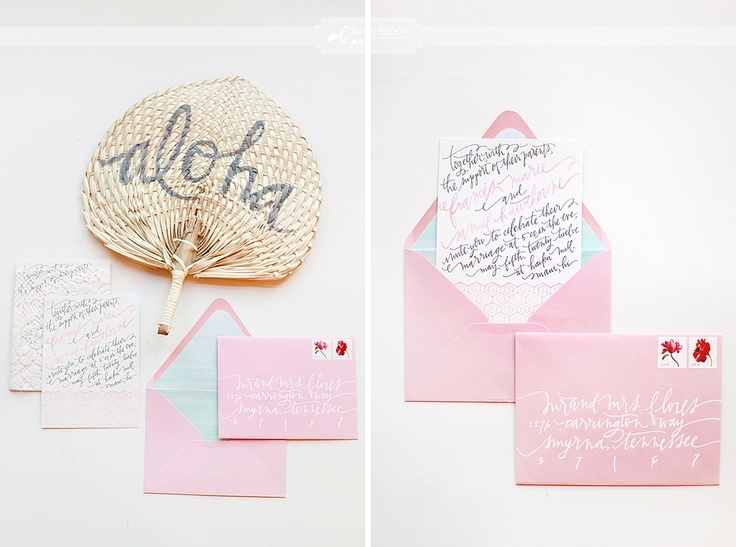 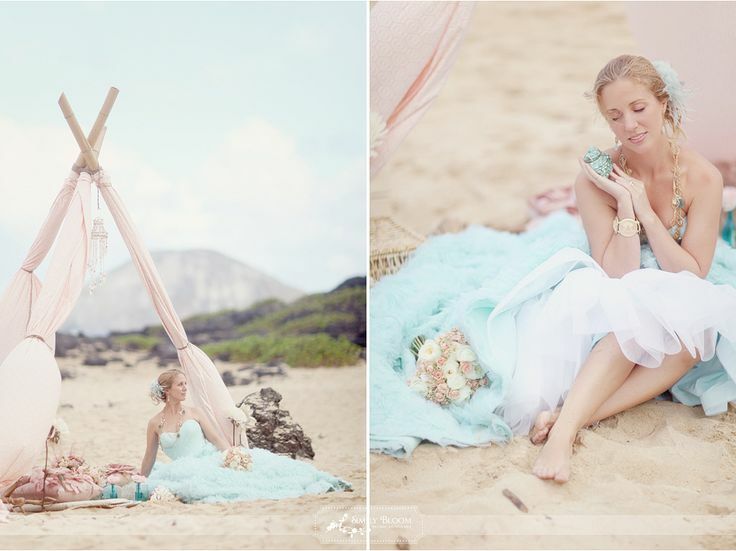 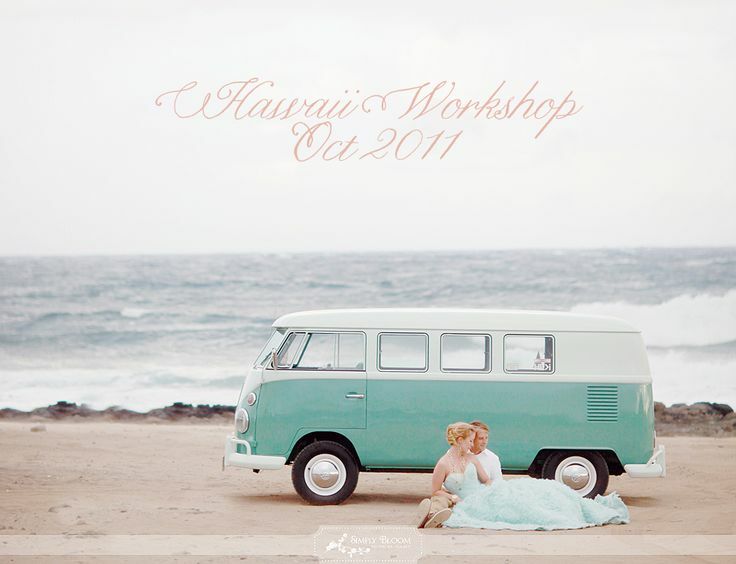 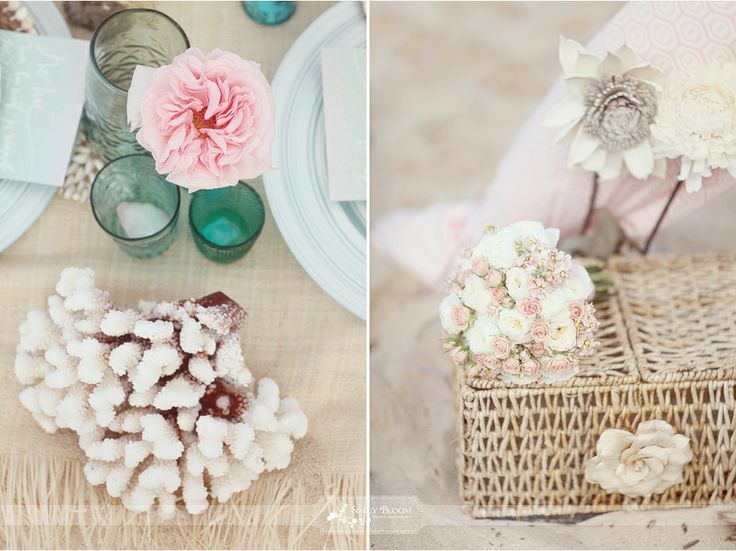 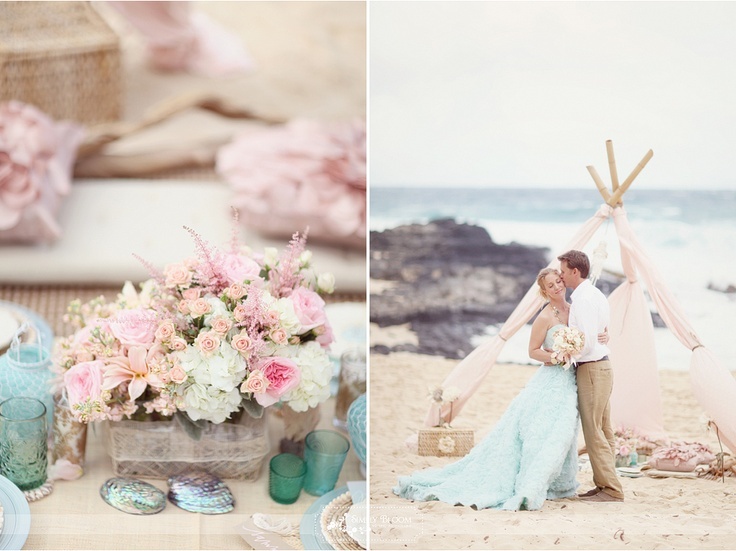 This beautiful wedding inspiration shoot was done on the beach in Oahu, Hawaii, and, as you can see, the setting of pale sand and sunny skies perfectly matches the delicate shades of pink and aqua featured. 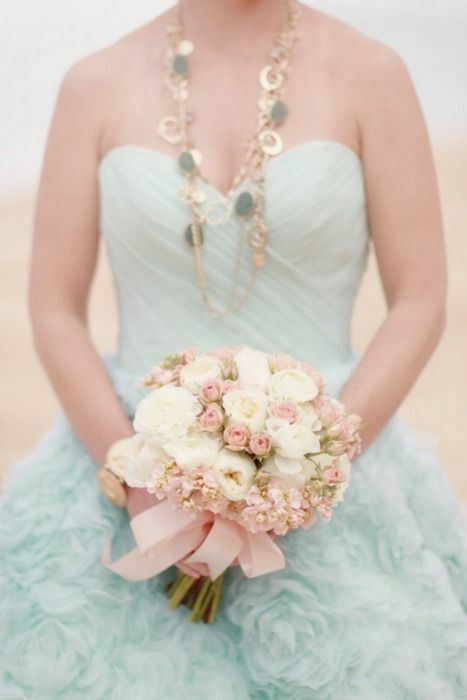 I'm swooning over the aqua ruffled Ramona Keveza gown on the bride. 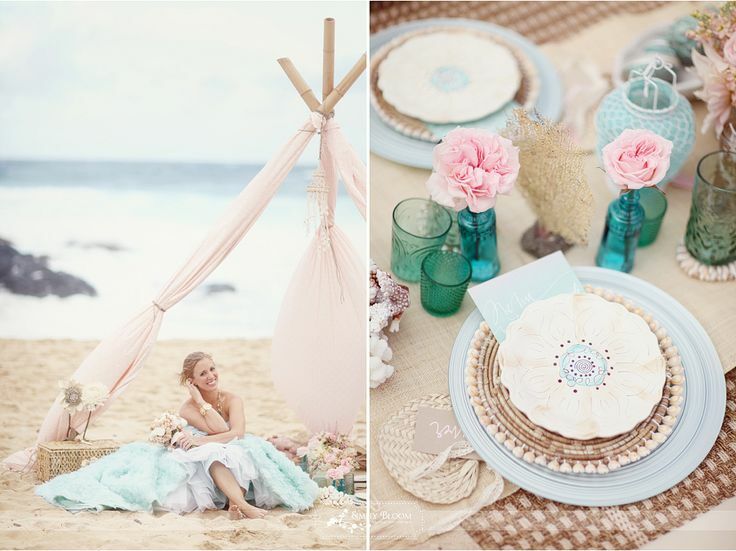 I also love the boho chic table, with that lovely pink tent, and the pretty flowers. 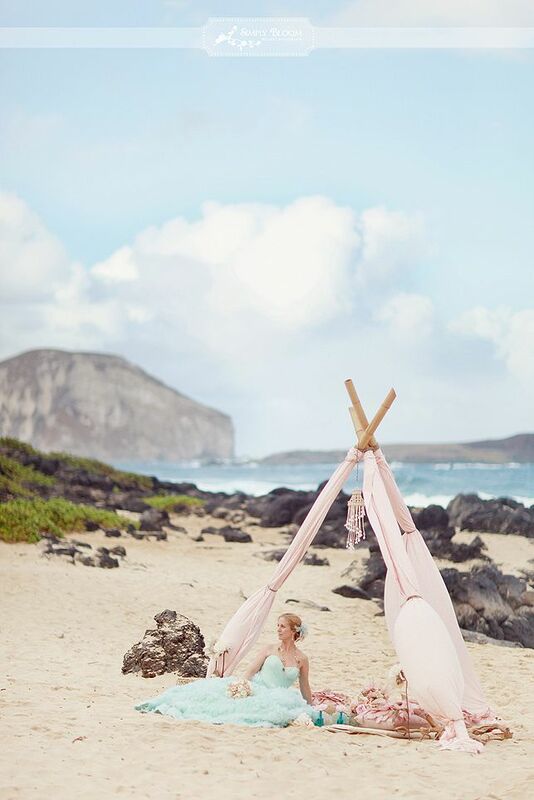 Wouldn't this be a beautifully intimate destination wedding, for a few of your nearest and dearest to attend? 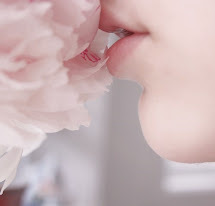 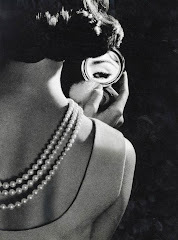 Sometimes, I think, smaller is better.